4th of July digital stickers, thank you cards, printable party decorations. 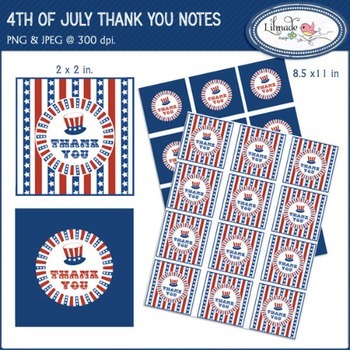 4th of July digital stickers, thank you cards, printable party decorations set comes with two sets of Independence Day inspired digital printable thank you notes. JPEG sheets at 300 dpi., size 8.5 x 11 inches. There are 12 stickers per sheet, each sticker measures 2 x 2 inches. >> This product can only be sold customized for a particular customer and in PRINTED FORM. >> MAY NOT BE RESOLD IN DIGITAL FORM.